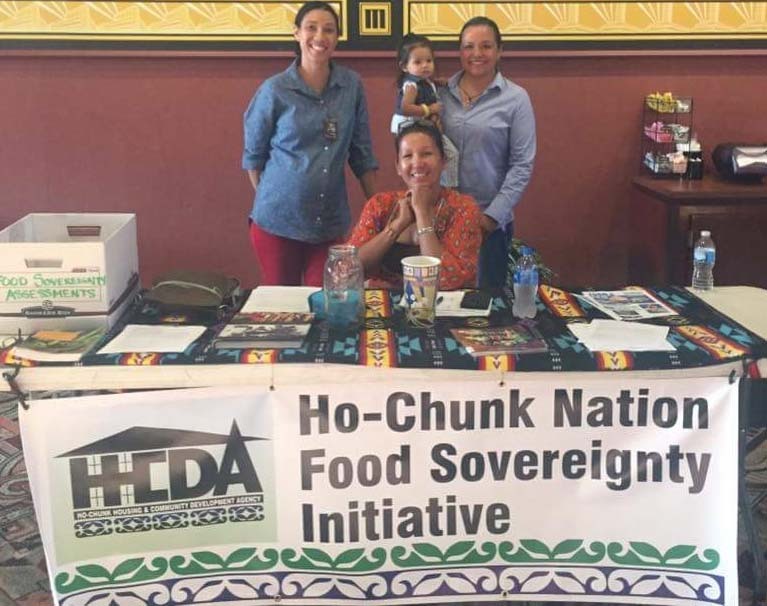 As part of the HHCDA’s commitment to serve the seven Ho-Chunk housing communities, it was one of the recipients of grants that First Nations Development Institute (First Nations) awarded to 21 Native American tribes and organizations to help them conduct food sovereignty or community food assessments in their various locales, from 2016 to 2017. First Nations provided the grants, totaling $400,000, under its Native Agriculture and Food Systems Initiative (NAFSI) with generous support from the NoVo Foundation Fund at the Tides Foundation. The HCCDA wanted to expand on the existing organic community gardens that had been established and bring more awareness of food sovereignty issues in Ho-Chunk, whose land base is checker-boarded and has “scattered communities and acreage” across Wisconsin, according the Wisconsin State Tribal Relations Initiative website. 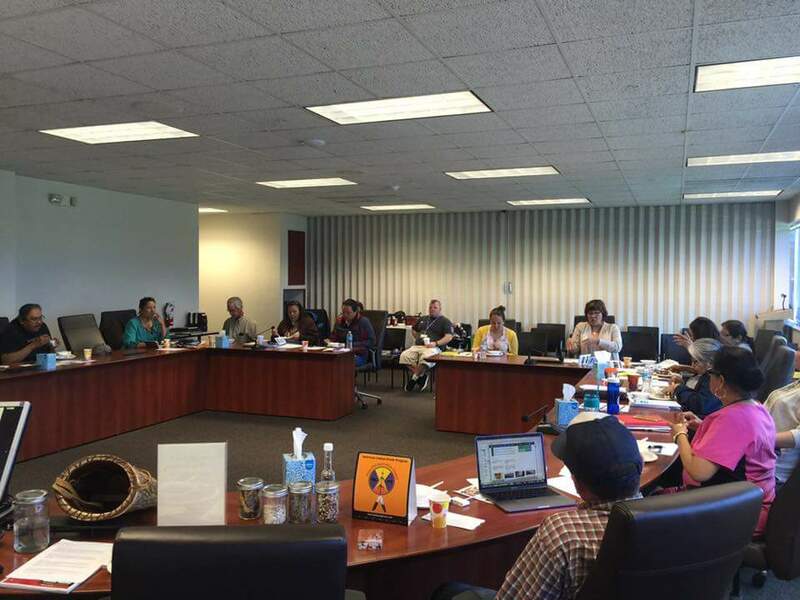 The HCCDA worked with many tribal members and volunteers to build support around the establishment of the organic community gardens. They saw the food sovereignty assessment as the next step toward working with and educating their tribal members on taking control of their food and food systems. 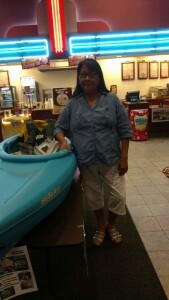 Melanie Stacy is the Grants Assistant with HCCDA, and a tribal member. She says a Ho-Chunk elder played a key role in waking up the community about the food issues impacting their community. “There was an elder vet who had a vision, and he lived a very traditional, cultural way of life. He lived the Ho-Chunk values, such as sharing within the community, and he wanted to bring the villages back to a simpler lifestyle. He saw what was happening within the Ho-Chunk communities and he helped organize the community gardens. That’s where the seed was planted,” said Stacy. Stacy says the elder, who was a veteran, was involved every day with the garden planning and at all the community planning meetings. “He said we have to live our Ho-Chunk values – how we need to help and take care of one another. It’s about how we share our knowledge and behave toward one another. He started the foundation, to get us out of our colonized way of thinking and to have a vision – that is what we need – to help one another and the families, to unite to make a better community,” recalls Stacy. The elder, who played such a pivotal role in getting the community gardens off the ground, unfortunately took ill and was not able to be there when the planting began in the spring of 2014. He was, however, able to see all the community activity through videos and photos shared with him by his children. Blue Wing community was the first location of the HHCDA community organic gardens in 2014. Two more gardens followed, with requests for additional gardens. 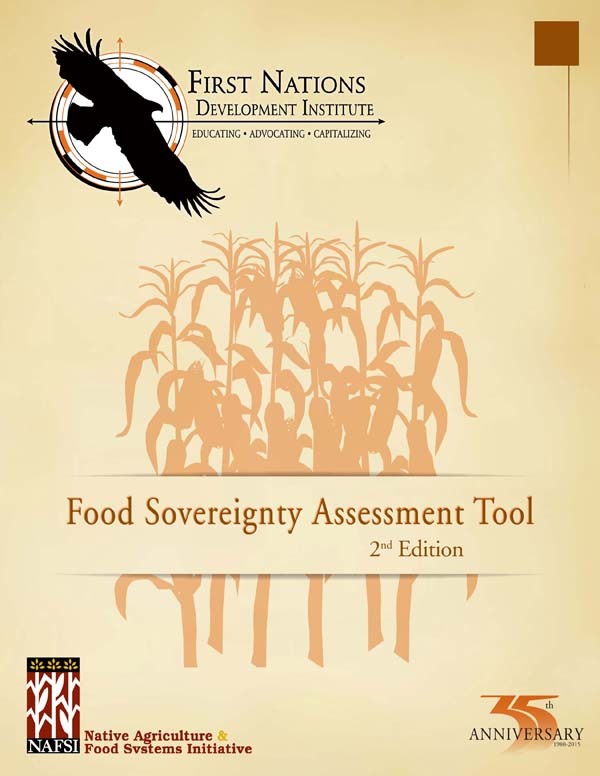 Based on the requests and in continuing in this spirit of focusing on the community, the food sovereignty assessment program began in late 2016. “The first focus for HHCDA was about educating the Ho-Chunk Nation on what is food sovereignty, and we utilized whatever media was available to talk about what is food sovereignty and to educate tribal members on the initiative. If you educate them first, then they feel a part of it and are more engaged,” said Stacy. The next phase was to form a focus group for the drafting of the food sovereignty assessment questions. The Ho-Chunk community members who had participated in the community gardens were great champions and helped to inform their fellow tribal members about the assessment. “The focus groups met regularly and those familiar with the garden project were more familiar with food sovereignty, and they helped pull together to meet on the assessment questions. The focus group came together and came up with templates. We used the examples from Oneida and the First Nations Food Sovereignty Assessment Tool. That went really well,” said Stacy. Some other community outreach activities included community meetings, and collaborating with other organizations and tribal communities. The Ho-Chunk Nation newsletter – Hocak Worak – was also used to share information on the assessment as it is mailed out to all tribal members. 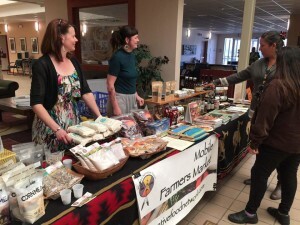 “We partnered with the Mobile Farmers’ Market to show what other tribes are doing and used some of their products to feed attendees and raffled off some of the products,” said Stacy. “Once the assessment was approved from our Internal Review Board, we ran copies of the assessment and scheduled a movie night kickoff with the health department. The Ho-Chunk Nation Health Department has always been a great partner with the HHCDA and has always donated to our initiative,” said Stacy. Next Stacy and her crew of volunteers had to figure out how to reach their fellow tribal members to take the assessment. When the Ho-Chunk Nation holds its annual general council, there are anywhere from 1,200 to 1,400 tribal members present. Stacy knew that it was going to require a huge rollout and a lot of footwork to get as many tribal members to participate as they could. In the end, 450 assessments were collected. With roughly one-third of the tribal membership surveyed, Stacy, her volunteers and one part-time staff person are excited about what the results will show when the data have been compiled and analyzed. She’s ever mindful, too, of the elder who steered the Ho-Chunk Nation down the road to the community gardens and beyond. A huge thank you to First Nations Development Institute for the grant opportunity to help us assess our tribal communities. We are following up with community outreach to share results. The gatherings are well attended and we are gaining valuable information as create a strategic plan to become more food secure and sovereign. Thanks again for all that you do for the Native Nations.